Google has just released a new version of Chrome browser with improvements in terms of security, but also with a bunch of new features that have previously been tested as part of beta builds. 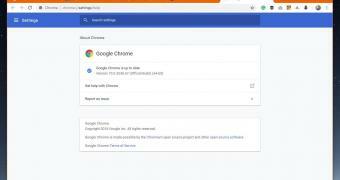 First and foremost, Google Chrome 70 now comes with Picture in Picture mode, which technically allows you to continue watching a video while browsing other websites by simply pinning the clip window to the screen. This feature was part of Chrome 69 for a couple of months, but users needed to enable it manually from the flags advanced configuration screen. With Chrome 70, however, it becomes available to all. Google Chrome 70 also introduces support for PWA apps, technically allowing Windows 10 users to install PWAs and then pin them to the desktop. Whenever a PWA app is clicked, it launches from the desktop and runs on the Chrome engine in its own window.